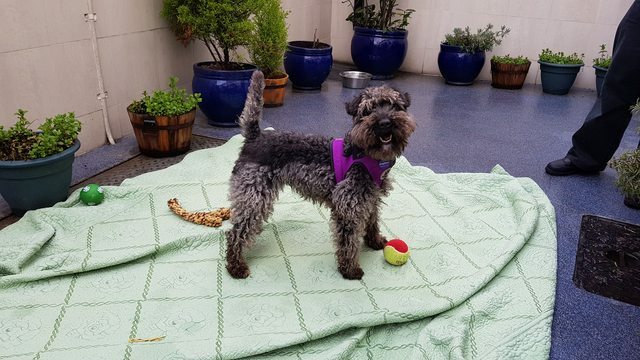 Beautiful Nessy is a five year old female Poodle and Fox Terrier crossbreed. She’s an active, playful and affectionate girl. She’s easily excited and can be reactive towards other dogs however she’s super intelligent and is responding well to training. She’s looking for an experienced owner who has plenty of time to dedicate to her. She can live with sensible teenagers providing they are used to being around dogs. 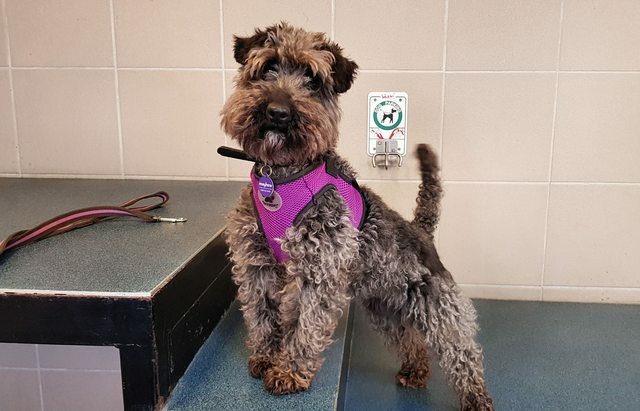 She’s been known to bark when left home alone so she will need a home where there is somebody around for most of the day, for this reason she wouldn’t be suitable to live in a flat. Due to her occasional reactive behaviour around other dogs she is looking for a home in a rural, semi-rural home or low dog populated area where she can be walked without coming into constant contact with lots of other dogs. Nessy has been neutered, microchipped, vaccinated and is up to date with flea & worm treatment. She has also been health checked and behaviourally assessed.